Reading about golf is fun and entertaining. The plethora of sites cover every possible aspect of golf and provide an opportunity for golfing fans to share their thoughts. I think it is important to share all things golf, so I figured sharing some interesting golfing blogs would be of interest to you. So, I thought I would name drop some golf blogs I check/read daily. Each offers something unique and they are not listed in any order of importance. This group of avid writers have a unique approach to talking about golf. Each offers a different opinion on the various happenings in the golf world. Over the past 3 years, I have encountered many golf blogs that add to my knowledge and understanding of this crazy game. These are a few that have stuck and are worth a look! 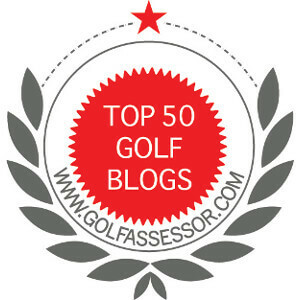 If you have any favorite golfing blogs please pass them on for us to enjoy! Thanks for including me with this distinguished list! I enjoy reading everyone. One day we all shall meet. No problem! I look forward to meeting you some days as well. Thanks for including me on list. Now I just need to post more. No problem, I enjoy reading your posts all the time! Keep them coming! No problem. I enjoy reading your articles. It’s a list I’m proud to be part of. Up early on a Saturday planning some early June golf in Alberta following a business trip. A good exercise in the middle of winter. Have a great weekend and thanks again. No problem. A trip to Alberta….awesome. My old stomping grounds. Sounds like a great way to spend a Saturday. WOW!! You included me in the list with these other guys – I don’t feel worthy, but I do feel honored. You’re quite a guy. Thanks. Of course. Golf is a contact sport and make many contacts that I love to read about! Jim, appreciate the mention! Hope you are surviving the snowless winter in Canada and can get out there soon! All is good! I like the lack of snow, but it makes me want to hit the links more! Awesome shout out to some other great blogs…I’m honored to be part of this list. Thank you very much, and keep up the great work yourself! Thanks for the plug, Jim. Also, like the new header photo and graphics, very nice. Thanks. The photo is my own. Trying to spice things up a bit.